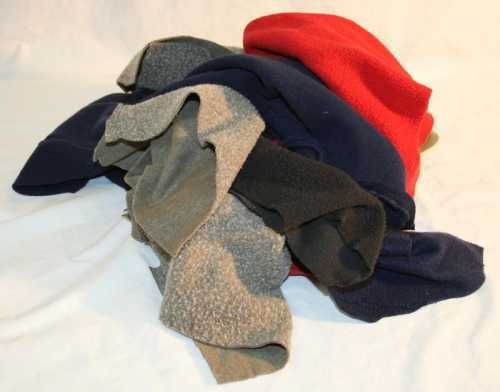 Color Fleece | NORTHWEST RAGS, INC.
A heavier weight cotton material cut from sweatshirts and similar material. Very soft and absorbent, good for heavy-duty applications and polishing. We would be happy to assist you on choosing the right wiping rag for your needs. FREE delivery within 100 mile radius on 200 pound orders or more.